Twice world superbike champion Troy Corser lives in England with wife Sam and their teenage children. But work still takes the 46-year-old around Europe, instructing at race academies for a Dutch company and its partner, BMW. 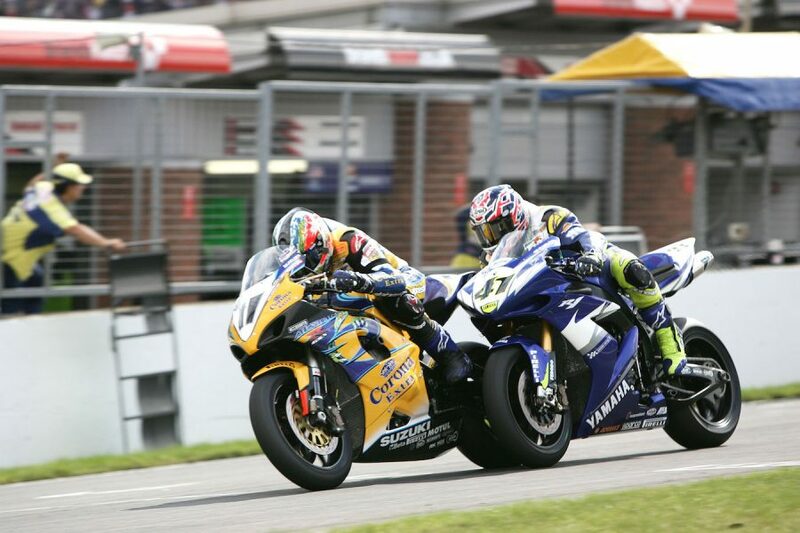 As a racer, Corser collected a set of Australian, American and World Superbike titles. In a WSBK career that spanned 1995 to 2011, he rode factory machines for Ducati, Aprilia, Petronas, Suzuki, Yamaha and BMW, recording 33 wins, 43 pole positions and 45 fastest laps while snaring the 1996 and 2005 crowns. He says Wayne Gardner was the biggest influence on his career. More influential than your father, Steve? Yes, because I didn’t see Dad as a racer. He took me to the race track so I could ride, and fixed the bikes when we crashed them, but he never tried to tell me how to ride. Mum (Carol) and Dad were trials riders, which is where we sort of started, and they let me do the riding. Dad was happy to step back and not be in the front line. What were the biggest differences for you between your two titles, which were separated by nine years? In 1996 we had no electronics for assistance, only telemetry. Back then it was just full power. When I won the second one, we had traction control, although I never used it much. I would turn it off at times, because I still liked to have the feel of the throttle in my hand. But that didn’t always work for the life of the tyre, even though I was happier feeling the bike. What was your favourite race engine? The Aprilia V-twin. The chassis was a little bit big, but the motor was fantastic and I loved that bike. And the Ducati I loved, of course. Those two probably stood out the most. Do you think the WSBK bikes today are too restricted? The bikes were always supposed to be based around a production model. That was the whole beginning of superbike, modified bikes. They went a long way away from that back in the day, and now they’ve come back to almost where it started. It’s good because you can feel the grip and people can afford to race them. We don’t need one manufacturer having a bike that blasts everybody, so where the bikes are right now is fine. In qualifying, you could put down the vital lap without getting flustered. I don’t get nervous. I stopped getting nervous after I won the American championship. When I raced here, I still had nerves and won, and when I went to America I had a little bit of nerves at the beginning. Then I won there and after that it was okay. Was America a bigger step than going to WorldSBK? Yes, because it was my first time out of Australia. Travelling around America is almost like travelling around Europe with the distances between each race. I travelled with Nigel Taylor, a racer from here, so I had someone to talk with. It was a huge step to leave Australia as a kid. Once I’d done that, going to Europe was not such a big step. Who did you see as your biggest rivals? Carl Fogarty was a multiple world champion, so he was the biggest threat, but once we got on the track he was no more or less of a threat than anybody else. But probably the fiercest rider on the track was Nori Haga, to be honest. Max (Biaggi) and I never raced against each other a lot, maybe a few times one season, but with Haga it was years and years as teammates and with me jumping between manufacturers. Obviously Frankie (Chili) was the other rider to beat when he was on the Ducati. So Foggy, Haga and Frankie were the three who stood out in my career.